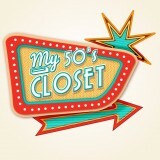 Retrobella is an eclectic wonderland filled with retro inspired homewares, gifts and clothing! 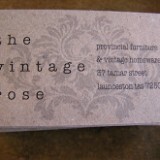 Specializing in funky furniture and vintage treasures. A retail shop that also holds classes in vintage crafting. Sierra Rose Designer Homewares has ten Australian designed collections that have all been hand drawn by Sierra Rose, our products are not only unique but are based on retro vintage styles our ancestors would have worn. We specialize in designing beautiful vintage home wares, from Women’s & Matching Kids aprons, Tea Towels, Oven Mitts, Pot Mitts, Napkins, Overnight bags to Cosmetic Bags.